Unique Stylish Purses | Miche Bags: Miche Purse Sale! 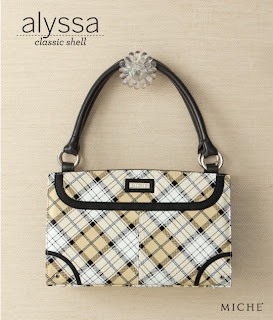 Alyssa Classic Shell in a Pastel Scottish Plaid Design. Miche Purse Sale! Alyssa Classic Shell in a Pastel Scottish Plaid Design. A classic Scottish plaid design with perfectly-placed black detailing give the Miche's Alyssa Classic Shell its timeless and irresistible look. The pastel colors are fresh, summery and utterly feminine while the black details work beautifully to give the whole look definition and style.